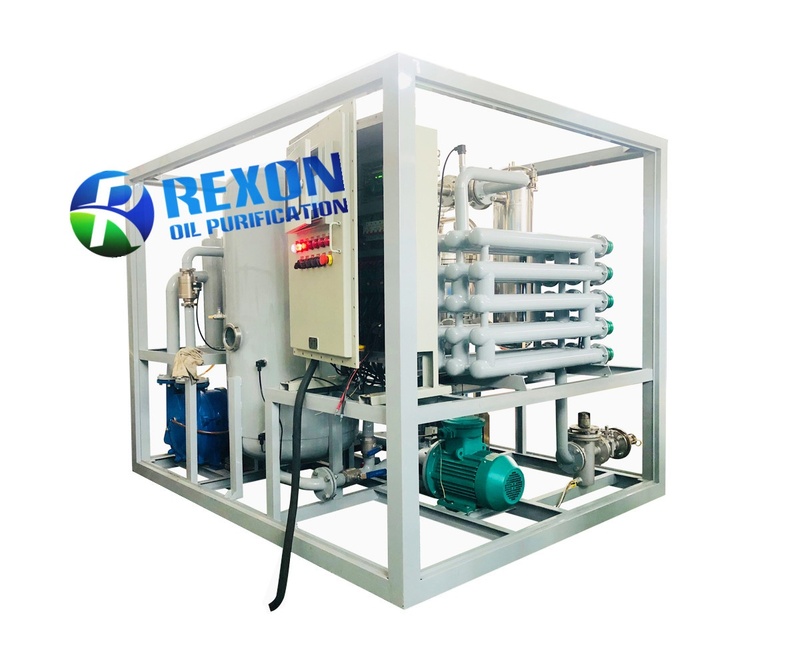 Rexon Vacuum Lubricating Oil Purification Pant TYA-100(6000LPH) is powerful for purifying unqualified lubricating oil, hydraulic oil, compressor oil, refrigeration oil and other industrial oils. 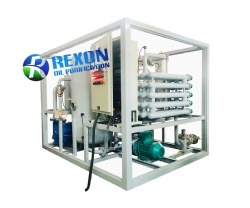 Rexon High Viscosity Oil Purification and Oil Processing System is especially used for purifying high viscosity oil like unqualified lubricating oil, engine oil, HFO, compressor oil, refrigeration oil and other industrial oils,which contains water, particles, mechanical impurities, vanish, etc during use. 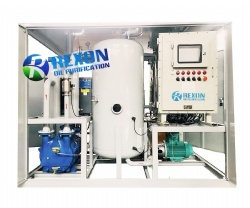 This oil purification and oil processing system can rapidly separate water, gas, particles and volatile matter (such as alcohol, gasoline, ammonia, etc.) from oil, restoring oil viscosity, flash point and performance. 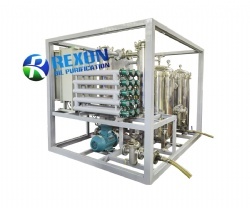 Rexon High Viscosity Oil Purification and Oil Processing System takes special filter elements which are especially for filtering high viscosity oils to deal with high viscosity oil. it is suitable for purifying various old and high viscosity lube oil in petroleum, chemical, mining, metallurgy, electric power, transportation, machinery manufacturing, railway and so on. The treated oil can reuse again in various industrial equipment. It is widely applied in petroleum, chemical, mining, metallurgy, electric power, transportation, machinery manufacturing, railway etc.